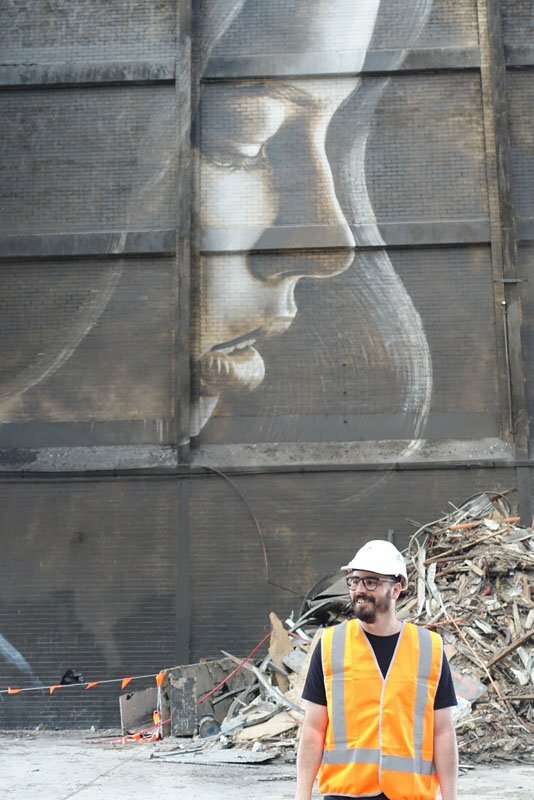 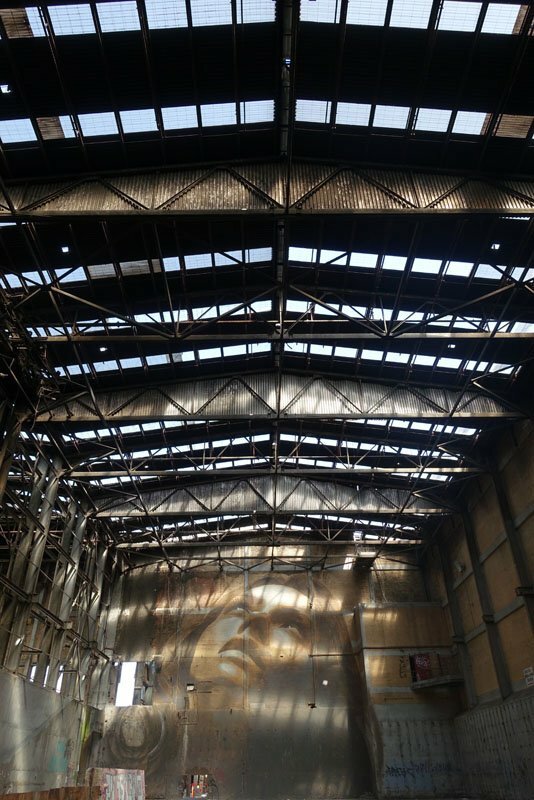 Only 120 people or so ever saw Melbourne street artist Rone‘s top secret Alpha project in the flesh; or in the rubble as it were. 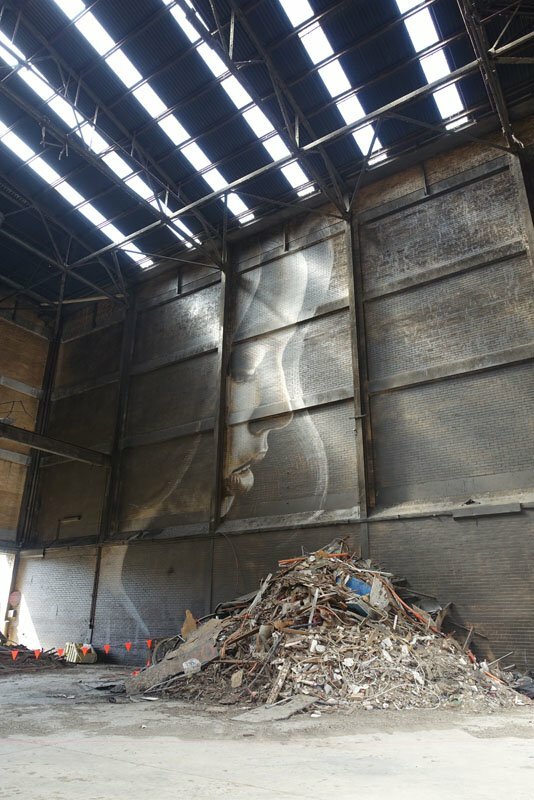 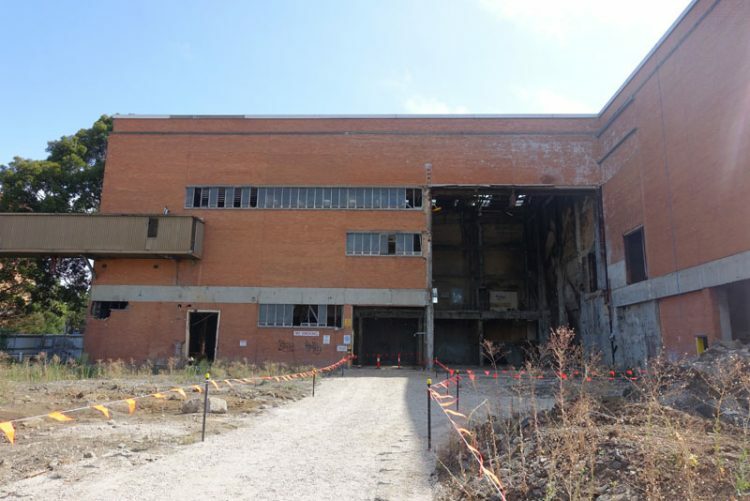 His Teresa, Georgia and Suzy paintings loomed large but existed fleetingly upon the broke-down remains of the what was once Amcor’s Alphington Paper Mill (which is to be transformed into new “mini-suburb” Yarrabend). 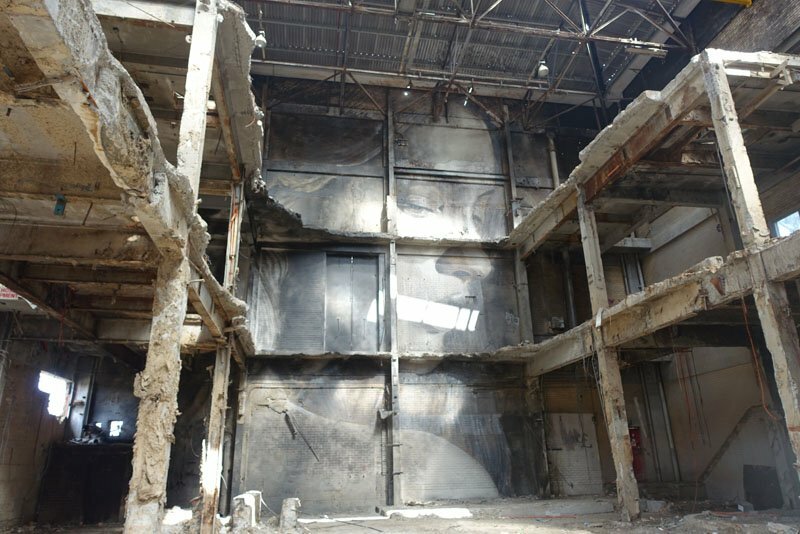 The works have now been destroyed. 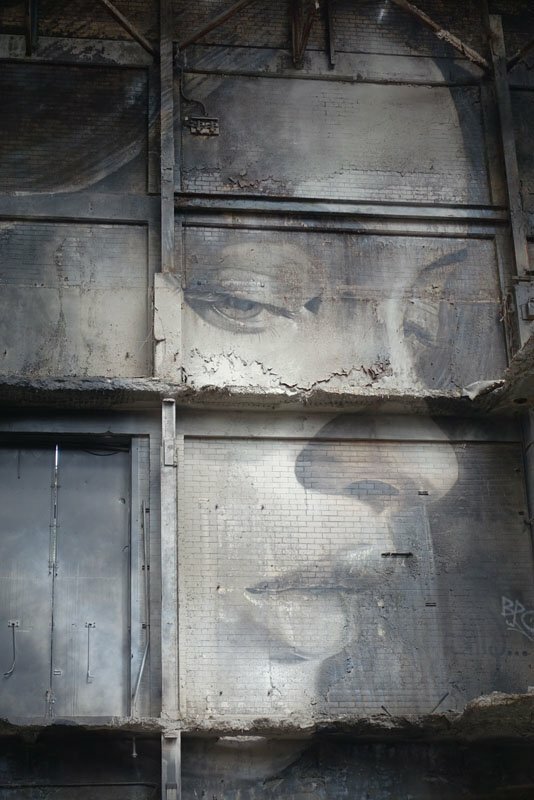 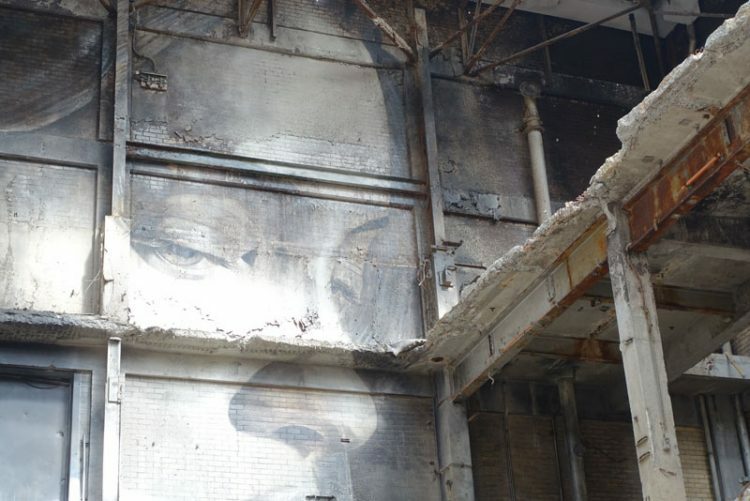 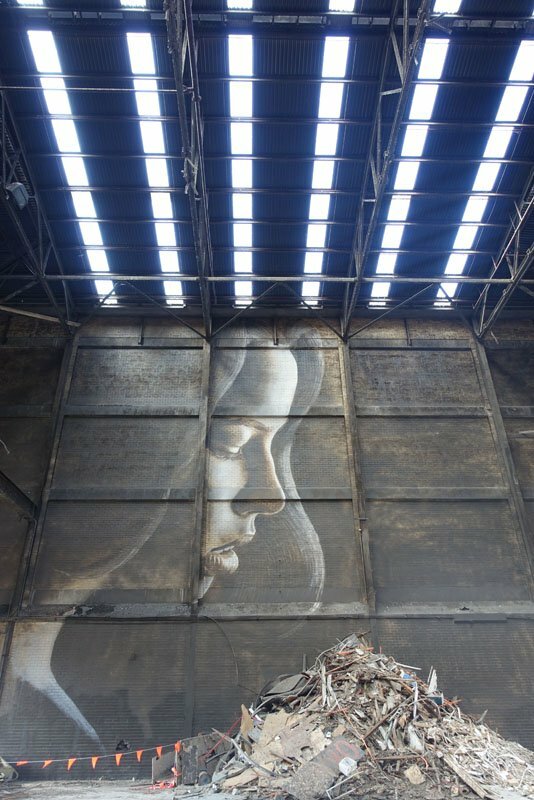 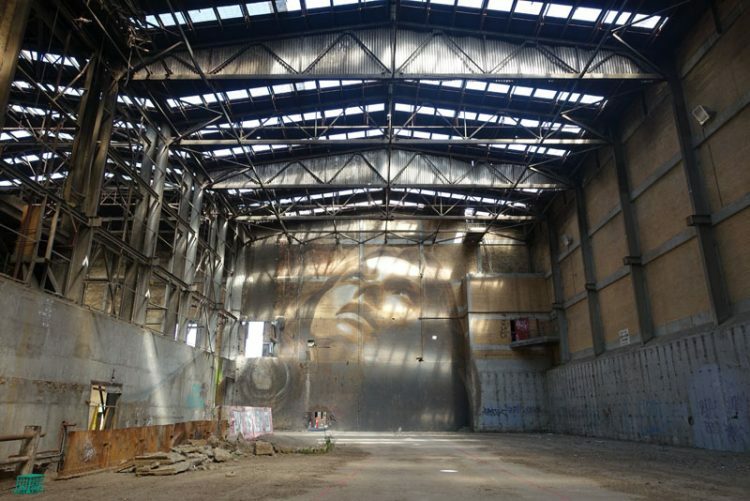 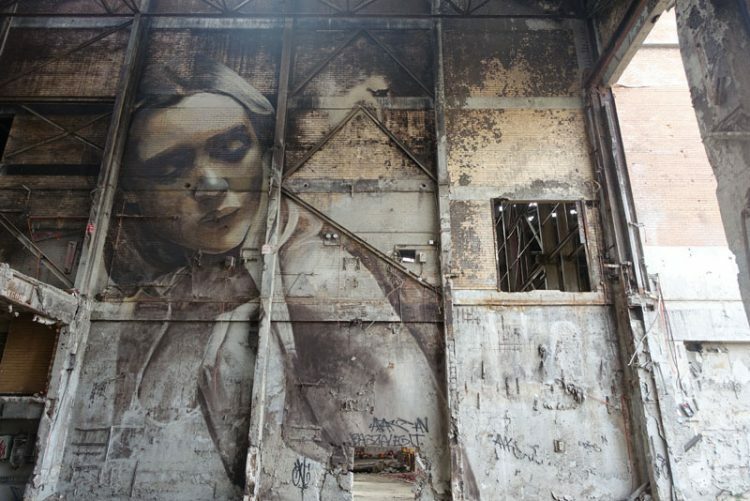 The project is a natural extension of his Empty project which photographed Rone’s artworks (completed with rather more illicit access) in abandoned places. 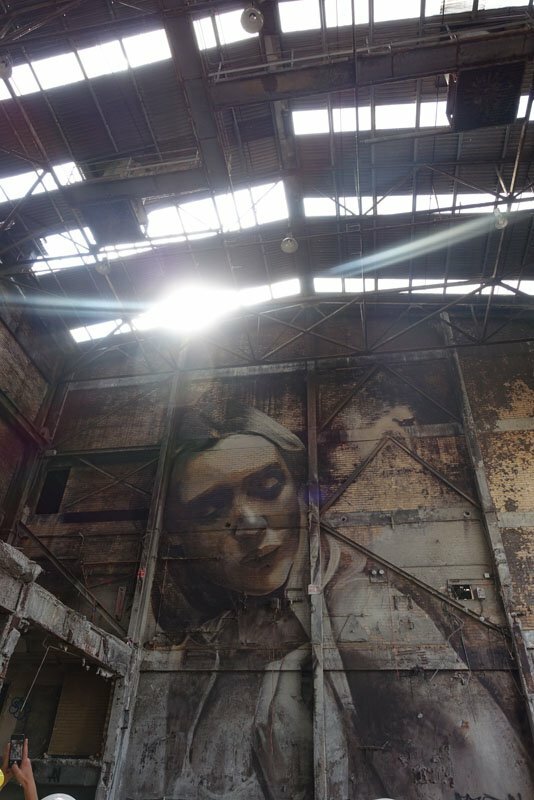 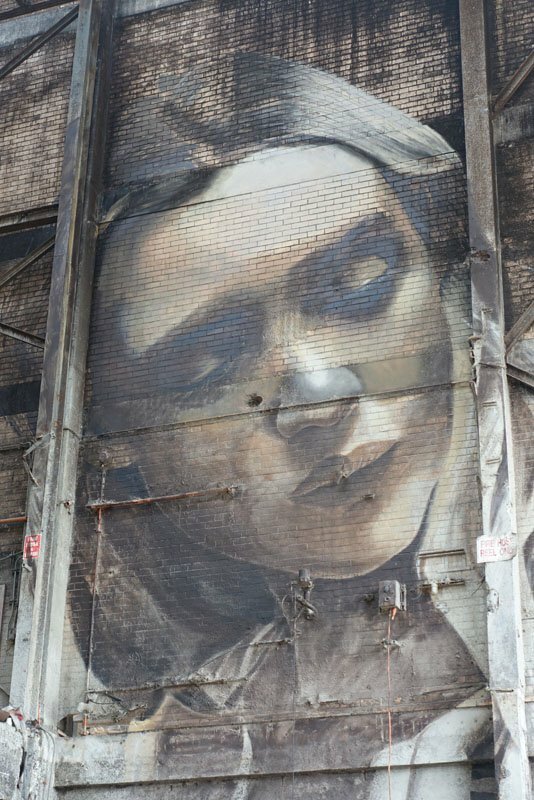 “I can do this and document it, and more people will see that than if it stayed for 50 years,” says Rone. 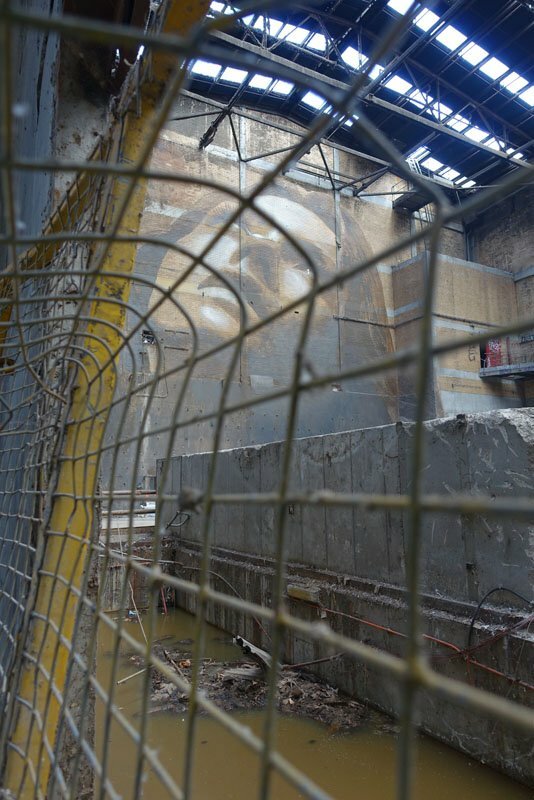 Photographic works derived from The Alpha Project will be available soon.